Events in Cairo have all the hallmarks of a return to the repression under ousted President Hosni Mubarak that prompted millions of Egyptians two years ago to camp out on Cairo’s Tahrir Square for 18 days until the military forced him to step down after 30 years in office. Little in the unfolding drama in Egypt genuinely responds to the demands put forward by the protesters two years ago: an end to the police state, greater political freedom, respect for human rights, an end to corruption, and justice and dignity. Is Egypt going to change? Or is this a return to Mubarak-style politics? Egypt was seemingly united two years ago when Mubarak was ousted. There were no mass demonstrations against the ousting of the president. This time round, the Muslim Brotherhood’s mass protests against the removal of President Mohammed Morsi, post-revolt Egypt’s first democratically elected leader, complicates things for the military that sees itself as the guarantor of the state. The military has in recent days demonstrated that it has learnt lessons from its bungling of Egypt’s transition from autocracy to democracy when it ruled the country for 17 months in the immediate aftermath of Mubarak’s departure. The military is seeking to pull strings from behind the façade of a military-appointed interim president, Adly Mahmoud Mansour, rather than taking the reins in its own hand. Whatever government emerges from the current crisis will nevertheless govern a deeply divided country in which one substantial segment believes that the disruption of the democratic process was designed to exclude it from participation. The opposition, like the military in line with its traditional understanding of itself, has gone to great lengths to portray intervention of the armed forces as an expression of the people’s will rather than a coup. There is no doubt that the military intervention had popular support. It is too simplistic to reduce events to a conspiracy in which the United States and Saudi Arabia together with the military decided that it was time for Morsi to go. There is little doubt that the military felt that Morsi’s incompetence and intransigency was deeply dividing the country and risked leading it down a path of economic self-destruction, increased polarization, Islamization, anarchy, and chaos. To be fair, the military gave Morsi the opportunity to mend his ways and let Egyptians determine his legitimacy in a referendum. The coup was encouraged in an environment of revolutionary fervor that allowed it to tap into widespread popular discontent. 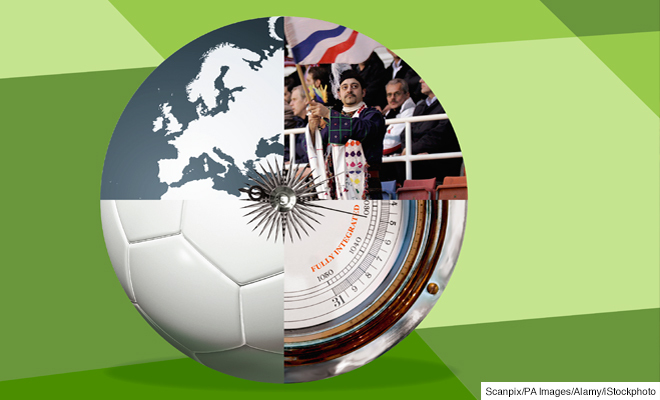 Its preferred model was the Turkish military’s toppling of Prime Minister Necmettin Erbakan in 1997. Like the Turkish military, Egypt’s military command issued a series of statements in the walk-up to the mass June 30 protest against Morsi and the immediate days that followed. It stepped in when Morsi defied those calls for the protagonists to achieve a negotiated solution and failed. It is also too simple to exaggerate the impact of the flow of US and European democracy funds to various groups and leaders of the anti-Morsi coalition. US funding of non-governmental organizations (NGOs) promoting human rights and greater transparency and accountability was controversial since its inception under Mubarak, and was targeted by the military after it succeeded the ousted president. Nevertheless, the fact that NGOs fronting for opposition politicians and retired military officers were included in the funding is certain to deepen Islamist distrust of the United States. Similarly, it is also simplistic to portray Salafi groups in Egypt as Saudi stooges because of backing by the kingdom. There is however a post-intervention divergence between the military and the Saudis on the one hand and the West on the Over the fact that the coup is proving not simply to be a correction in which the Brotherhood is removed from power in advance of new elections, but in which a witch-hunt against the group jeopardizes Egypt’s transition. This development creates the notion of a free and fair election on a level playing field a mockery. Perhaps most ominous in tracing the process of engineering Morsi’s downfall is the evidence that the accelerating shortfall of shortages in electricity and other services in the last months of the Morsi government was as much the result of the president’s disastrous economic policy as it was artificially engineered by institutions of the state that he was unable to control. The role of various arms of the state in opposing Morsi constitutes one key reason for Morsi’s demise. What Egyptians call the deep state but what in reality are key public institutions of the state – the military, the police and security forces, the judiciary and segments of the media – had only conditionally accepted the rise of the Brotherhood. They were willing to give Morsi the benefit of the doubt, committed to resisting attempts at reform that would have given the Brotherhood control of their institutions, and determined to intervene if he were to rock the boat. If anything, the military’s intervention constitutes a reaffirmation of an understanding of itself that was first shaped by Gamal Abdel Nasser with his overthrow of the monarchy in 1952 and concentration of all power in 1954. The military sees itself as a separate caste and the ultimate arbiter of what is good for Egypt under the guise of executing the will of the people. Certainly, 2013 is different from 1952 for a host of reasons. Ranking high among those is the fact that the Egyptian military is a very different institution from the one that first took power 61 years ago. Those differences explain why the military bungled its 17 months in power immediately after the fall of Hosni Mubarak in 2011 and why a smooth transition towards a civilian-led democracy in Egypt in the coming years is unlikely. Nasser’s military was highly politicized. Its officer corps, particularly in the artillery and cavalry, was reformist and in favour of democracy. Nasser’s defeat of the reformists set the stage for the police state created under President Anwar Sadat and perfected by Mubarak. It was and is a state dominated by forces controlled by the interior rather than the defence ministers with very different interests. Like in the first half of the 1950s, the security forces have much to loose in a transition towards democracy while the military has much to gain from liberalization provided it can retain its perks and privileges. The security forces had the upper hand in 1954 and that is also true in 2013 – if only because the military needs them. This development meant that the security forces rather than the military became the face of repression under both Mubarak and Morsi in ensuring that protests in favor of social justice and greater freedoms did not produce anarchy. The need to guard against anarchy and chaos was reinforced by the fact that the non-Islamist opposition forces lack of cohesion and effective leadership. Additionally, the Brotherhood has yet to develop the wherewithal to make the transition from a clandestine, secretive, illegal social movement. In order to be able to effectively govern and reach out to its critics, the Brotherhood needed to expand its skill to survive, and its ability to mobilize as to include the tools and mindsets that would allow it to become an inclusive political organization. Nonetheless, General Abdel Fatah al-Sisi, the head of the Supreme Council of the Armed Forces (SCAF), left little doubt about the military’s role in shaping Egypt’s future when he addressed the nation to announce his roadmap drafted together with leaders of the anti-Morsi movement. Al-Sisi, who is deputy prime minister and defense minister in the post-Morsi government, repeatedly referred to the legitimacy of the people, but not once referred to their sovereignty. “The speech is the intellectual gloss on the July 3 coup. Its point is that Egypt is too important to be ruled by its people. Too many regional and world powers are vested in the direction this country takes and how it gets there. Its population will be corralled to the side and left to practice their charming folkloric political rituals with parliamentary elections and even presidential elections and what have you. An arena of electoral democracy will be constructed, but many matters of grave national import will be outside its purview. And anyway, its outcomes can always be reversed,” wrote Egyptian blogger Baheyya. While there is little doubt that the Brotherhood was its own worst enemy and brought the coup upon itself, the question of whether Morsi was indeed rocking the boat and whether his string of ill-concieved moves would have fundamentally changed the nature of Egyptian society and turned it into an Islamic state is a matter of debate and perception. However, the debate on whether or not the military intervention constituted a coup or not is not one of definition but one of trying to shape domestic and international perceptions of recent events in Egypt, and in the case of the United States needing to circumvent the legal consequences – cut-off of aid and economic sanctions – of calling a spade a spade. Military-appointed President Adly Mansour left no doubt about the nature of the military’s intervention by declaring that his authority stemmed exclusively from the statement made by Al-Sisi that was published in the Official Gazette as the law of the land with the suspension of Morsi’s constitution. The military’s transitional roadmap is however no better conceived than its attempt in the wake of Mubarak’s fall to shape Egypt in its mold. It is driving Egypt down the very road that brought it to today’s crisis: a constitutional drafting process that has the formal characteristics of inclusiveness and participation but is drafted by a selected group of lawyers and appointees rather than by politicians. This deflects questions of real reform, professes a willingness to let people speak out with no guarantee that they will be heard, produces a series of rapid succession referenda, and elections that gives people little time to discuss and reflect, and a favoring of those who cooperated with the coup. All of this is occurring in an environment of produced xenophobia, repression of the Brotherhood, restrictions on the media, and an opposition that lacks unity, cohesiveness and agrees at best on what it does not want. Neither the military nor the protesters – despite the expressions of support of the armed forces – have any illusions about the nature of their relationship and its inherent contradictions. The military’s authoritarian and patriarchal nature and goal of preserving as much of the status quo ante to guarantee its privileges and perks are in direct conflict with the protesters’ aims of a more open, transparent, accountable and just society. The two sides are opportunistically using one another playing a dangerous game that can only end in failure, if not renewed strife. To be clear, the millions that signed the Tamarrud petition demanding Morsi’s resignation and sparked the anti-Morsi protests signed up for new elections rather than a return of the military to politics. The Brotherhood offered the military and his critics an open goalpost. Morsi was the wrong man for the job. His inexperience, his stubbornness, his enamour with the office and his lack of sensitivity to public opinion was his downfall. It was by the same token unrealistic to expect that the Brotherhood, for the first time in office after decades of having operated clandestinely or in a legal netherland, would be able to – overnight – make the transition from a secretive to an open, transparent and flexible group. The Brotherhood’s traditional instincts not to seek sole government responsibility were correct. The Brotherhood displayed those instincts at the beginning of Egypt’s popular revolt when it initially was reluctant to join the anti-Mubarak protests and then promised not to seek a parliamentary majority or the presidency. Most believe that it was the seduction of opportunity and potential power that persuaded the Brotherhood to break those promises. The unexpected rise of the Salafis as a potent political force contributed to the Brotherhood’s change of mind as did likely advice by Qatar, the Brotherhood’s main foreign backer. The justification for the Brotherhood’s cautionary instincts and the reason why the expectation of a stellar performance of the Morsi government lies in Turkey. It took political Islam in Turkey some four decades to get from the intransigence of Adnan Menderes who was executed by the military in 1960 via Erbakan who was forced out of office in the late 1990s to current Prime Minister Recep Tayyip Erdogan. Erdogan, despite recent protests against him, is by and large a success story. He has achieved significant economic growth, enhanced Turkey’s regional status despite setbacks in Egypt and Syria, and yes, narrowed the gap between his country’s secular and conservative communities. The reversal of the Brotherhood’s position was in fact predictable. The group’s history is characterised by continuous tension in deciding whether it is a social or a political movement. That tension explains its often disastrous decisions motivated by a hunger for power, to cut backroom deals with the military, and powers for which it has paid dearly in the past. The Brotherhood experienced perhaps the worst crackdown in its history two years after the coup in 1954 by the Free Officers. It opportunistically decided to drop its support for then president Mohammed Naguib, a reformist military officer, in favor of Nasser who had falsely led them, as well as the rest of the country, to believe that he would establish a democracy. In fact, Nasser, and more importantly the security forces he had created were establishing in cooperation with the United States and Britain. This would effectively be the model for Arab autocracy for decades to come: a state controlled by the police and the security forces rather than the military with multiple variations ranging from the military being totally cut out of the power structure to cases where it shared power. Underlying Morsi’s downfall are two factors. Morsi and Turkey’s Erdogan share a majoritarian interpretation of democracy which leads them to believe that their legitimacy stems from victory at the ballot box. The events in Egypt and Turkey illustrate that the ballot box is one of two elements that constitute legitimacy. The other element is acceptance by those that did not vote for the incumbent. That acceptance was withdrawn in Egypt while the message in Turkey was: it will be withdrawn if you don’t change and take us into account. More fundamental in Egypt are different conceptions of the state and society. The Brotherhood failed to recognize that the state is an institution with its own identity and interests rather than a vehicle to propagate and implement Islamic values and that society is more than just the Ummah, the community of Muslims. Ironically, the Brotherhood’s concept of the state mirrors concepts among some of its opponents that were long prevalent among the secular elite: the state’s function is to guarantee secular society if need be at the expense of democracy. Morsi’s mistake was that he gave the forces arrayed against him reason. The deep state rejected control by the Morsi government but was not bent on intervening. Military intervention was an option but not a foregone conclusion. However, by late spring of 2013, that need arose in the minds of the military and others as a result of Morsi’s inability to successfully reach out to all segments of society and adopt a truly inclusive approach. Military officers did not shy away from hinting broadly in the months before the coup that they were waiting for the right moment to unseat Morsi. The military sought to project itself as a selfless mediator and arbitrator unbound by partisan or commercial interests. But it undermined its own ambition with the post-coup crackdown on the Brotherhood and its failure to learn the lessons of Egypt’s so far failed transition. The deep state moreover did its part in exploiting Morsi’s weaknesses and engineering a situation that was bound to significantly complicate his life if not become a failure. Perhaps the single event that set the stage was last year’s disbanding of the lower house of parliament, the one institutionalized forum for debate even if it was dominated by religious conservatives. That left opponents of the Brotherhood with only one alternative: the street. Fuelling that perception of need was Morsi’s failed attempt to acquire super-constitutional powers that would have freed him of judicial oversight. The rise of militant groups in the Sinai backed by attempts by religious figures to impose Islamic law in some parts of the peninsula, the threat to use military force against Ethiopia to enforce what Egypt long has viewed as its rights to the waters of the Nile, his suggestion that Egyptians could join the anti-Bashar jihad in Syria, his nomination of a governor of Luxor who was associated with a group responsible for assassination of Sadat and the killing of 57 tourists in the late 1990s, and his failure to stand-up for minority rights when he stood on the same dias as a Salafi preacher who denounced Egypt’s tiny Shiite community as infidels. The economic deterioration under Morsi and his inability to deliver let alone maintain services stood moreover in stark contrast to the Brotherhood’s provision of services that were lacking in the Mubarak era. To be fair, Morsi inherited an economy with huge structural problems that stem from a scarcity of resources, rapid population growth, decades of corruption and nepotistic authoritarian rule. Nevertheless, the sum total of Morsi’s failures falls short of what could be described as a grab to take full control of all of the state’s key institutions, let alone Islamize the state in its entirety. This is witnessed by the continued independence of the deep state, Morsi’s efforts for much of his period in office to accommodate the military, his more-or-less hands-off approach towards the interior ministry and the security forces that are in dire need of thorough reform, and his failure to make effective inroards into the culture ministry. In fact, Morsi, while in government, gave the military what it wanted: the replacement of the old guard by the second echelon of command, and preservation of its privileges and perks – control of national security, protection of its independent relationship with the United States, immunity against prosecution, maintenance of its commercial empire that accounts for at least 10 percent of Egyptian GDP, and no civilian oversight. Nevertheless, Morsi’s core failure may be his inability or unwillingness to take on the one segment of the deep state at the root of the resistance to Mubarak’s regime that was building up in the stadiums in the last four years of the ousted autocrat’s rule and exploded on Police Day in January 2011 on Tahrir Square: the Ministry of Interior and the police and security forces it controls. The gap between Morsi and the security forces was widened by Morsi’s efforts to evade police reform by legalizing armed private security services. Morsi’s failure was compounded by the failure of the security forces, Egypt’s most hated institution because of its enforcement of the Mubarak era repression, to formulate a vision of their own in a post-revolt environment. Instead, they opted to lie low so as not to provoke further animosity. They hoped that their absence and a decline of law and order would position them as the force that stood between Egypt and the abyss. The failure of the security forces’ leadership to redefine itself in a post-revolt environment was encouraged by the military’s opposition to real reform and calls for independent police trade unions, improved accountability, rules governing promotion, and training by reformist officers who – if acknowledged – could have sparked a similar development within the armed forces. One reason why the police unlike the military has reformists within its ranks is the fact that military personnel enjoyed economic and financial personnel that lower level police offices lacked, making them on the one hand more corrupt, dependent on getting bakshish for their services and more connected to criminal networks that often were employed to do the Mubarak’s regime’s dirty work. On the other hand, this made many in the police more inclined towards change. As a result, the police force is split. The force had little reason to support Morsi and the Brotherhood but significant segments of it are less committed than the military to the road on which Egypt has now embarked. The police and security forces have taken note of the fact that the military has succeeded in retaining a degree of popular support that they lack. Herein lies the danger that the fallout of Morsi will be a weakening of the reformists in the security sector in favor of those who see liberalization as an undermining of their power. The Salafis and the Brotherhood: Can they Weather this Crisis? Recent events in Egypt are widely viewed as the Brotherhood having lost the upper hand to the Saudi-backed Salafists. The rivalry between the Salafis and the Brotherhood reflects not only political differences but also those between a majority of Gulf states led by Saudi Arabia and Qatar. One reason the Salafists did almost as well as the Brotherhood in post-revolt Egypt’s first parliamentary election was that they in many ways were closer to their grassroots than the Brotherhood. It’s the image of the upstart Salafi travelling to a poor neighboorhood in Cairo by public transport or cheap taxi versus the established Brotherhood politician arriving in his privately owned car. Ultimately, however, the Salafis puritan worldview is even less attractive to a majority of admittedly religious Egyptians than that of the Brotherhood against which a majority revolted. The knowledge that the Salafis have strong roots in only a sliver of Egypt is what allowed the Nour Party to straddle both sides of the fence: first endorsing Morsi’s conservative constitution and then supporting the anti-Brotherhood revolt and military intervention. Those Salafi groups and parties that were less adept than Nour at playing politics have threatened to revert to violence if political Islam is refused a seat at the table in the wake of Morsi’s downfall. It would be premature however to predict that Egypt is travelling down the brutal and bloody road that Algeria followed in 1991 after Islamists were denied the opportunity to consume their electoral victory. That road ended in years of civil war and a quarter of a million dead. The emergence this month of Ansar al-Sharia in the Sinai that claimed responsibility for attacks on the military, builds on the fact that since the successful crackdown on jihadist groups in the 1990s. There were only two groups that physically resisted the Mubarak regime: Bedouins in the remote, lawless desert and soccer fans in stadiums. That is not to say that there will not be incidents of political violence. The Brotherhood unlike the Algerian Islamic Salvation Front (FIS) had a long history of moving from violence to non-violence and was initially allowed to take office. Despite its deep-seated sense of victimhood, critics within its ranks recognize that Morsi is as much as anyone to blame for the group’s predicament. In addition, Egypt unlike Algeria is in the throws of popular revolution with a majority. In contrast to Algeria, Egypt is supporting the role of the military. Its jihadists embarked on a non-violent path a decade ago after being crushed by the military. Egypt’s revolutionary fervor coupled with the role of the Nour Party is likely to continue to counter the assertion of Al Qaida leader Ayman al-Zawahiri and other jihadists that jihad is the only path that does not strengthen un-Islamic rule. The intensity of the Saudi-led Gulf counter-revolution notwithstanding, it would be wrong to write the Brotherhood off. The Brotherhood has weathered adversity for much of its existence. It is its strength as well as it weakness. Nasser Square in Eastern Cairo and officials like Mohammed El-Beltagy – for whom there is an arrest warrant out – represent its strength. Hundreds of thousands are camped out in the Square much like anti-Mubarak protesters did in early 2011. El-Beltagy and others wanted Brotherhood executives are among them. The cost of executing their arrest warrants is not one the military and the security forces can afford. The Brotherhood’s mobilization capability and continued peaceful protest draw a stark contrast with the military’s arrest warrants and targeting of media and businesses owned by Brothers. Moreover, Nasser Square constitutes living proof that Islamists in general and the Brotherhood in particular retain a significant popular base. The Brotherhood’s ability to maintain its base is fuelled by its sense of victimhood reinforced by the recent coup. Morsi’s failures have caused the Brotherhood significant damage. Some of that damage is countered by the failure of liberals, leftists, secularists and youth groups to develop credible alternatives in the 30 months since Mubarak’s downfall. They appear to be able to agree and mobilize only on what they do not want despite their creation of a loose umbrella, the National Salvation Front (NSF). In a Pew Research Poll some six weeks before the coup, 52 percent of those queried gave Morsi a positive rating while only 45 percent approved of the NSF. Morsi’s ratings are likely to have dropped since. The question is whether the NSF is the beneficiary. There is little reason to believe that various pillars of the anti-Morsi movement would perform in government much better than the ousted president. Initial indications from the military-backed government suggest the anti-Morsi forces have failed to ignore one key message from the president’s downfall: ignore the economy at your peril. Saudi Arabia, the United Arab Emirates, and Kuwait – Gulf states hostile to the Brotherhood – have thrown the military and the military-backed government a life line with $12 billion in immediate aid. The aid has allowed the government to entertain rejecting like its predecessor a $4.8 billion International Monetary Fund (IMF) loan that would have forced it to introduce the unpopular reforms needed to tackle the economy’s structural problems. To be sure if Morsi would have had a checklist of what not to do, he would have ticked off every box. A different scenario may have unfolded if Khatter al Shatter, a powerhouse within the Brotherhood, would not have been disqualified for the presidential race because of a conviction under Mubarak on political grounds. Unlike Morsi, Al Shatter is a successful, wealthy businessman who may have better understood entrepreneurial spirit, risk, the give and take of negotiation, economic needs and communication concepts stemming from his familiarity with marketing. Morsi reinforced fault lines in which distrust and mutual suspicion run deep. Some of his measures like appointing party cronies to office that would have elsewhere been percieved as a normal practice deepened the divide and suspicion that the Brotherhood was not really committed to a pluralistic democracy. As a result, Egypt is rendered with two antagonistic camps that each sees itself as the defender of democracy and the spirit of the more than two year-old popular revolt. Each believes that it has the wherewithal and resources to fight this out in an environment in which mutual suspicion and distrust has been cemented. Egypt’s coup puts the Brotherhood at a crossroads. It can opt for the Salafi model involving acceptance that its grassroots constitute a minority and that it needs to keep one foot in and one foot outside the system. Alternatively, it licks its wounds, learns lessons from its failure, and returns to its long-standing instinct of biding its time. The Brotherhood’s recent history and its long-standing desire to be a political group with a mass following, despite its most recent failure, mitigates towards the second choice. A key factor influencing its decision making is likely to be the military’s ability to demonstrate that it is serious about allowing the Brotherhood to compete as one among equals in the country’s next elections. Despite verbal statements by the military and the president to that effect, that is not the message the military has conveyed with its post-coup crackdown on the Brotherhood. Complicating the Brotherhood’s decision-making process is the fact that it has seen a steady drain of its more progressive elements that started under Mubarak and gathered speed with the demise of the autocrat. That in part explains the difficulty the group has in making the transition from secrecy, its fear of external threats and a view of politics as a zero sum game associated with clandestinity and legal uncertainty to the kind of inclusiveness, outreach, and transparency that characterizes electoral politics. The question is whether the Brotherhood can shed its posture as a victim to recognize that what it decides, will – to a large extent– determine whether Egypt can progress towards democracy. Brotherhood participation in that process is a sine qua non. The military crackdown allows the Brotherhood to delay facing its own demons. Continuous mobilization and confrontation with the military enables it to maintain cohesion and count on a repetition of history. The Brotherhood’s ranks and support swelled in the past whenever it was repressed. The crackdown also allows it to portray itself as the underdog and paper over divisions within the group that would likely only be deepened by debate over who is responsible for its most recent debacle. For now, the Brotherhood’s strategy is working witness the apparently large numbers of non-Brother Islamists who have joined the pro-Morsi protests out of fear of a return of the Mubarak-era repression. The best case scenario for Egypt in the absence of a reform wing within the military that is able to assert itself is the emergence of an imperfect democracy, guided by the military in which over time the armed forces would be submitted to civilian control. Turkey is the obvious example but also an indictment of the failure of the US and Europe to help create the circumstances for real democracy. Prime Minister Erdogan was able to finally subject the military to civilian control because he was given a straight jacket: the prospect of European Union membership. For all the efforts of the United States and the EU to strike a balance between their support for autocracy in a bid to maintain regional stability and support for the development of a strong and healthy civil society they exempted the one force that inevitably would play a key role in any transition: the military. As a result in contrast to Southeast Asian nations, like the Philippines, Indonesia, Thailand and Myanmar, there is no reformist wing of the military in Egypt, or for that matter in any other Arab country, that can lead the country from autocracy to democracy. The absence of such a reformist wing means that the military sees transition as a threat rather than an opportunity. Stay tuned: there is more drama to come. James M. Dorsey is a Senior Fellow at the S. Rajaratnam School of International Studies as Nanyang Technological University in Singapore, co-director of the Institute of Fan Culture of the University of Würzburg, and the author of the blog, The Turbulent World of Middle East Soccer. Hazem Kandil, ‘Soldiers, Spies and Statesmen, Egypt’s Road to Revolt, 2013, London:Verso, p. 30. The battle between Iran and various Gulf state for the identity of the energy-rich region has spilled onto its soccer pitches. It’s the Persian Gulf League vs. the Arabian Gulf League. 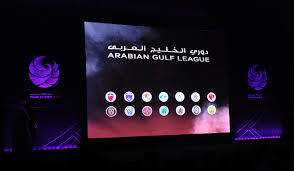 The struggle erupted when the United Arab Emirates, alongside Saudi Arabia, the Gulf’s most fervent opponent of political Islam, recently renamed its premier league as the Arabian Gulf League. The Iranian football federation, whose own top league, the Persian Gulf League adheres to the Islamic republic’s position in the war of semantics, responded by blocking the transfer of Iranian players to UAE clubs and breaking the contracts of those who had already moved. The war has stopped Iran’s national team captain Javad Nekounam from being sold for $2 million to UAE club Al Sharjah. "We had to stop him from joining the Emirati league. We will ask the president (Mahmoud Ahmadinejad) to allocate" funds to compensate Mr. Nekounam for his loss, said Iranian football federation head Ali Kafashian. Quoted by Fars news agency, Mr. Kafashian said another eight or nine players had also been prevented from moving to the UAE. “The Persian Gulf will always be the Persian Gulf. Money is worthless in comparison to the name of my motherland. I received an offer from Al Sharjah three months ago and noone forced me to deny it, but I refused to do so myself. 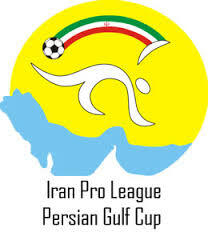 I would never join a team from a league offending the name of the Persian Gulf,” Mr. Nekounam said on Iranian state television. The Iranian federation, which has long been micro-managed from behind the scenes by Mr. Ahmadinejad, made its move three weeks before the president steps down and is succeeded by president-elect Hassan Rouhani, a centrist politician and cleric who many hope will seek to improve strained relations with Saudi Arabia and other Gulf states. The kingdom together with the UAE and Bahrain have accused Iran of interfering in their domestic affairs by fuelling Shiite anti-government protests. They are also at loggerheads over Syria with Iran backing embattled President Bashar al-Assad and the Gulf states supporting rebels opposed to him. The animosity has fuelled a widening sectarian gap in the region between Sunni and Shiite Muslims. The UAE moreover has its own gripes against Iran because of the Islamic republic’s four decade-old occupation of three potentially oil-rich islands claimed by the Emirates that are located near key shipping routes at the entrance to the Strait of Hormuz. The UAE last year declared a boycott of Iranian players which it did not implement in a bid to pressure Iran to return the islands and put its controversial nuclear program under international supervision. A year earlier, the UAE became with remarks made by its ambassador to the United States, Yousef al-Otaiba, the first Gulf state to publicly endorse military force to prevent Iran from becoming a nuclear power. The UAE has in recent years further worked to link more closely its security to U.S. and European security interests. France inaugurated in Abu Dhabi its first military base in the region. The base, which comprises three sites on the banks of the Strait of Hormuz, houses a naval and air base as well as a training camp, and is home to 500 French troops. Alongside other smaller Gulf states, the UAE has further agreed to the deployment of U.S. anti-missile batteries on its territory. UAE clubs signaled this week that they would comply with the Iranian boycott in a move that strengthens Emirati resistance to Iranian policies. "We don't want to be drawn into a political warfare and if it is true, the club management will take necessary action to avoid any confrontations," said an official of the Sharjah club that was negotiating with Mr. Nekounam. Mr. Kafashian said it was negotiating with Ajman to break the contract of Iran’s Mohammed Reza Khalatbari who had transferred before the Iranian football federation declared its decision to bar Iranian players from moving to the UAE. James M. Dorsey is Senior Fellow at the S. Rajaratnam School of International Studies (RSIS), Nanyang Technological University in Singapore, co-director of the Institute of Fan Culture of the University of Würzburg and the author of the blog, The Turbulent World of Middle East Soccer. both the revolutionary youth movement and the Brothers. parliamentary and presidential seats which they had been elected to before. efforts to create an illiberal democracy in Egypt. Brotherhood view Morsi’s overthrow as illegal. the efforts of any potential cut-off of US aid while what constitutes US power has changed. illiberal democracy at best, and further volatility rather than a way out of the crisis. little else besides Morsi’s downfall -- inevitably falls apart. by a popular revolt in March 2011, few members of the coalition are likely to be happy with a government that may well roll back hard-fought freedoms acquired two years ago. adherence to the peace treaty with Israel. policy that for decades saw autocrats as guarantors of stability at the expense of increasingly disenfranchised and discontented populace seeking social justice and greater freedom. faces a no-win situation in Egypt. here to subscribe to the Centre's publications. Younger Assyrians and Syriacs raised in Sweden, with its long history of social democratic government, feel uneasy with Moro’s unabashed support for a regime whose ruthlessness has made it a pariah. They too, however, express concerns about the fate of the Christian minority in a post-Assad era. They feel more comfortable with Moro’s expression of frustration with a perceived lack of acceptance by Swedish society. “The Swedes don’t want us to succeed. We’re ambitious, that is what sets us apart. We try all the time to build bridges. It is not easy because we are a foreign team and always will be a foreign team. They don’t see us as Swedes… and the Swedish media do not show our good side,” Moro says, referring to reports on Södertälje football’s links to criminal groups. Describing Syrianiska as a tool to keep youth from drifting into alcohol and drug abuse, Moro blames the city’s criminality on high unemployment and an influx of refugees from Iraq, many of whom are unregistered. He says an increase in police officers had made streets safe again.